What is the cheapest way to get from Crookstown to Cork? The cheapest way to get from Crookstown to Cork is to drive which costs 3€ - 6€ and takes 22m. What is the fastest way to get from Crookstown to Cork? The quickest way to get from Crookstown to Cork is to taxi which costs 40€ - 50€ and takes 22m. Is there a direct bus between Crookstown and Cork? Yes, there is a direct bus departing from Crookstown, Crookstown and arriving at Mardyke Walk. Services depart five times a day, and operate every day. The journey takes approximately 45m. How far is it from Crookstown to Cork? The distance between Crookstown and Cork is 26 km. The road distance is 31.4 km. How do I travel from Crookstown to Cork without a car? The best way to get from Crookstown to Cork without a car is to line 233 bus which takes 45m and costs 7€ - 9€. How long does it take to get from Crookstown to Cork? 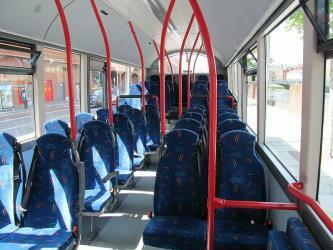 The line 233 bus from Crookstown, Crookstown to Mardyke Walk takes 45m including transfers and departs five times a day. Where do I catch the Crookstown to Cork bus from? 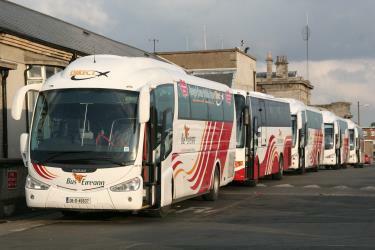 Crookstown to Cork bus services, operated by Bus Eireann, depart from Crookstown, Crookstown station. Where does the Crookstown to Cork bus arrive? Crookstown to Cork bus services, operated by Bus Eireann, arrive at Mardyke Walk station. Can I drive from Crookstown to Cork? Yes, the driving distance between Crookstown to Cork is 31 km. It takes approximately 22m to drive from Crookstown to Cork. Where can I stay near Cork? There are 206+ hotels available in Cork. Prices start at 75€ per night. What companies run services between Crookstown, Munster, Ireland and Cork, Ireland? 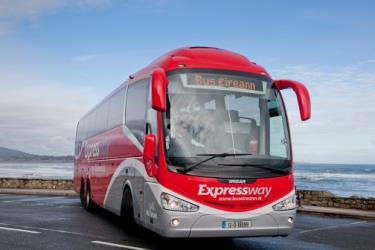 Bus Eireann operates a bus from Crookstown to Cork 5 times a day. Tickets cost 7€ - 9€ and the journey takes 45m. Rome2rio's Travel Guide series provide vital information for the global traveller. Read our range of informative guides on popular transport routes and companies - including How do I get from Sydney to Melbourne, Travelling to the US: What do I need to know? and Thanksgiving 2018: How to travel stress-free - to help you get the most out of your next trip. Fota Wildlife Park is a 100 acre wildlife park located on Fota Island, near Carrigtwohill, County Cork, Ireland. It is an independently funded, not-for-profit charity that is also one of the leading tourism, wildlife and conservation attractions in Ireland. The park has an annual attendance of 440,000 visitors. Opened in 1983, the park is home to nearly 30 mammal and 50 bird species. Some of the animals roam freely with the visitors, such as the ring-tailed lemurs and wallabies, while larger animals, including the giraffe and bison, live in paddocks with barriers that are intended to be unobtrusive for visitors to view the animals in a more natural environment. Fota Wildlife Park also has red pandas, tapirs, siamang gibbons and other types of animals. The Crawford Art Gallery (Irish: Áiléar Crawford) is a public art gallery and museum in the city of Cork, Ireland. Known informally as the Crawford, it was designated a 'National Cultural Institution' in 2006. It is "dedicated to the visual arts, both historic and contemporary", and welcomes over 200,000 visitors a year. Spike Island (Irish: Inis Píc) is an island of 103 acres in Cork Harbour, Ireland. Originally the site of a monastic settlement, the island is dominated by an 18th-century star fort named Fort Mitchel. The island's strategic location within the harbour meant it was used at times for defence and as a prison. Since the early 21st century the island has been developed as a heritage tourist attraction, with €5.5m investment in exhibition and visitor spaces and accompanying tourism marketing. There were in excess of 10,000 visitors to the island during the month of August 2016. Spike Island was named top European tourist attraction at the 2017 World Travel Awards. Rome2rio makes travelling from Crookstown to Cork easy. Rome2rio is a door-to-door travel information and booking engine, helping you get to and from any location in the world. 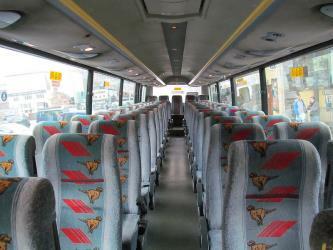 Find all the transport options for your trip from Crookstown to Cork right here. Rome2rio displays up to date schedules, route maps, journey times and estimated fares from relevant transport operators, ensuring you can make an informed decision about which option will suit you best. Rome2rio also offers online bookings for selected operators, making reservations easy and straightforward.